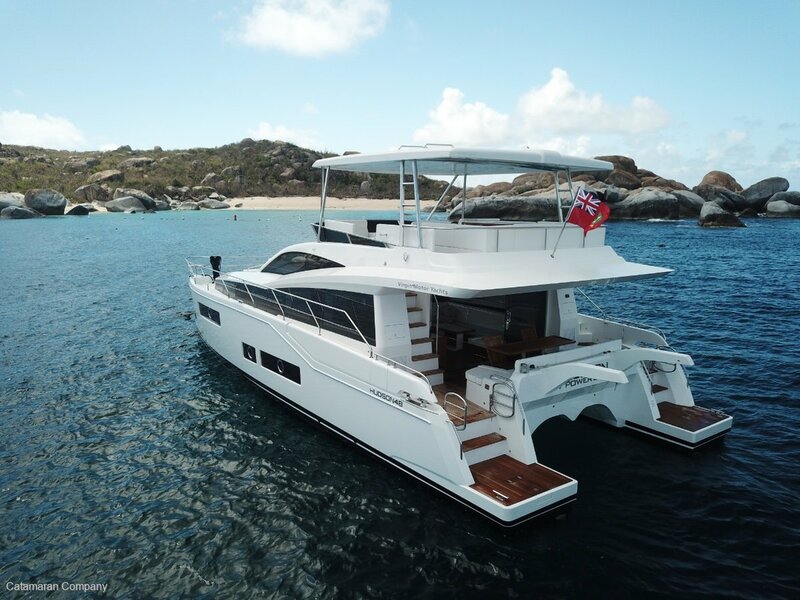 We have the pleasure of Exclusively Introducing this next generation, fuel efficient Catamaran designed by the highly respected British naval architect, Bill Dixon for safe long distance cruising to the Australian market. Highly acclaimed in Europe, UK & US, built to "superyacht" standard using the latest space age infusion technology under strict quality control conditions. The owner has a spacious 6.8 m wide en-suited stateroom fitted with a centreline king island bed forward on the bridgedeck with panoramic ocean views and there are two other guest cabins aft in the owner's version. 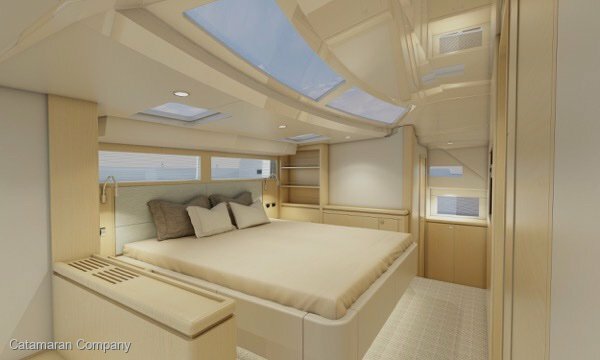 Alternatively, the four cabin version sleeps eight in two island doubles and two, twin single berth cabins. The spacious cockpit has comfortable seating for upto eight around a handcrafted table and offers same level transition to the saloon. The panoramic flybridge also has u -shaped seating for eight around the table aft of the drive station. Infused fibreglass/ foam construction with gel coat finish including boot line stripes. Hull and deck made of PVC foam cored with stitched multiaxial skins. The hull is stiffened with structural longitudinal stringers and supported by structural transverse bulkheads, we think is essential in an ocean capable vessel. Aft cockpit self draining with teak laid cockpit and steps. Stern safety gates and upholstered seating with stowage under. 24V overhead and low level lighting and cockpit speakers. Superstructural side handrails and stainless steel Transom hand rails. Flybridge self draining with acrylic stainless steel framed windscreen. Hydraulic steering and sports steering wheel. Audible and visual alarm for bilge pumps. Integral double helm seat. Stainless steel handrails. Duplicate engine controls and instrumentation. Engine over heat alarms. Large u-shaped upholstered seating, upholstered sunbed with hinging longitudinal backrest. Wet bar with sink, hot and cold water supply. Saloon contains a u-shaped sofa and a 3 seat sofa to port. Dining table has a two way hinging top. Bottle and glass stowage and drinks refrigerator. Tinted side windows. This Long Range Passage Maker is perfectly suited for Australian and Pacific Island cruising. * Teak laid cockpit, transom platform and steps to flybridge. * Stainless steel fittings. * 220V/240V Fischer Panda 8000i (6Kw) diesel generator. * 4-Ring 220V ceramic stove hob. * Under counter refrigerator with freezer compartment. * Saloon bar fridge. * All cabins feature opening ports. * All cabins have 220V power points. * Sprung mattresses throughout with under mattress aerators. * 40" LCD TV (rise and fall) in saloon. * Triple opening stainless steel framed patio doors (4 panels). * Pre installation of ducting for Air Conditioning. * Stereo radio/CD/Blue Ray/MP3 player to saloon and exterior speakers. * Hot and cold transom shower. * Techma Electric quiet flush toilets - fresh water flush. * 2 Holding tanks to all toilets - standard. * opening points and 220V shaver points in all bathrooms. * Self launching stainless steel Delta anchor with 60mtr chain. * 24V DC/240V AC electrical system. * 240V Shore power with 70amp Victron float battery. * 24V concealed lights in saloon. * 10 mooring cleats, 4 at bow, 2 spring cleats and 4 aft cleats. * 24V dual station remote control electric anchor winch with deck helm and flybridge controls. * Self draining anchor chain locker. * Stem head roller and chain stop. * Cassette mounted bathing ladder. * Side decks and fore deck all non slip. * Water and fuel fillers. * Stainless steel rubbing strake with white nylon carrier. * Fender storage lockers on the foredeck. * 24V pantograph wipers and curved safety glass windscreen. * Stainless steel Ensign staff. WE WOULD LIKE TO TAKE THIS OPPORTUNITY TO INFORM YOU THAT, HUDSON YACHTS ARE BUILT TO WORLD CLASS EXACTING STANDARDS WITH A STRINGENT QUALITY ASSURANCE PROTOCOL IN PLACE. WE INVITE ANY OF OUR CLIENTS WHO ARE SEEKING TO OWN A SUPERBLY BUILT, NEXT GENERATION, FUEL EFFICIENT, OCEAN GOING POWER CATAMARARAN (PC) TO VISIT THE FACTORY WITH US, TO WITNESS THE PROFESSIONAL BUILD PROCESS OF A HUDSON CATAMARAN. 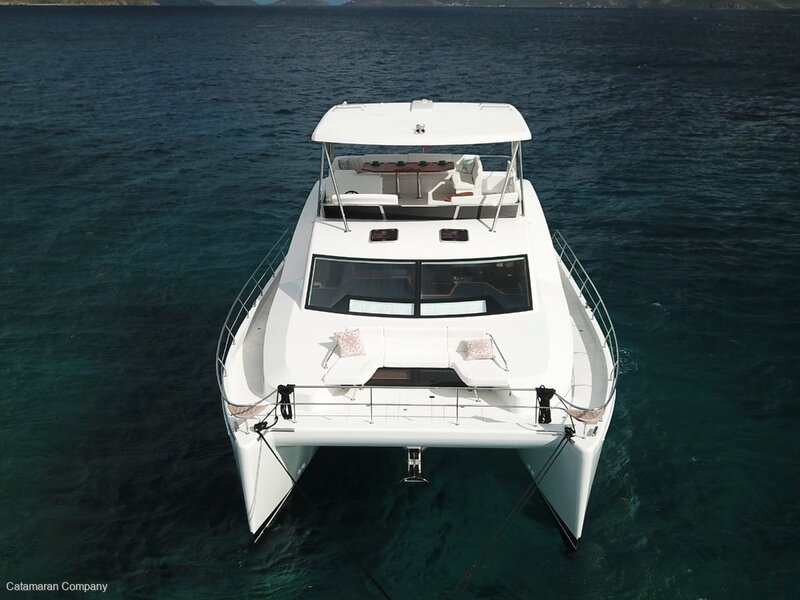 If you are seeking an all weather long range fuel efficient Power Catamaran to "Do your Dream" of exploring our vast and beautiful coastline, take a serious look at this exciting Power Catamaran. 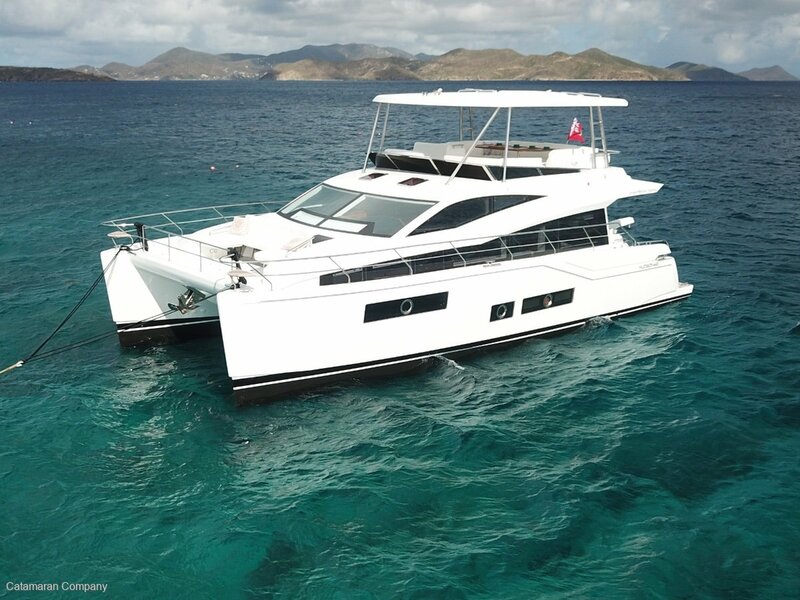 Perfectly suited for Kimberlie and Pacific Island Cruising, we have a completed owner's version fitted with the bigger Yanmar 370 hp diesels ready to option up for you for immediate delivery. Price quoted is for the boat ex- factory China. 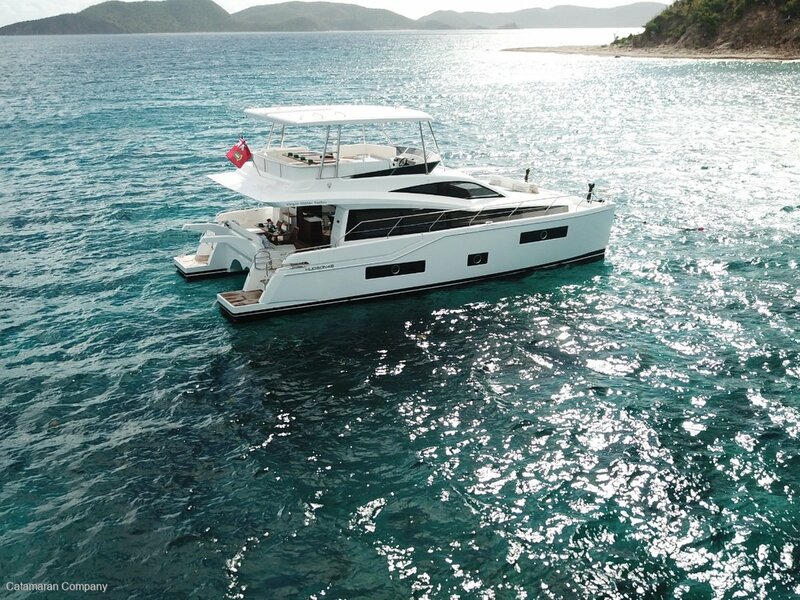 CONTACT US here at our waterfront office opposite the Cafe Restaurant at the Boat Works Coomera, Queensland to discuss your interest in the HPC48. Phone (07) 5502 3124 or Celine Flamain - 0429 867 913 or Ian Mackenzie - 0419 756 540.